The Wheelybugs Ride On Toy is a high quality fun toy. Perfect for hours of play and fun. Why Should I choose The Wheelybugs Ride on Toy? The Wheelybugs Ride On Toy always proves to be a favourite for children. 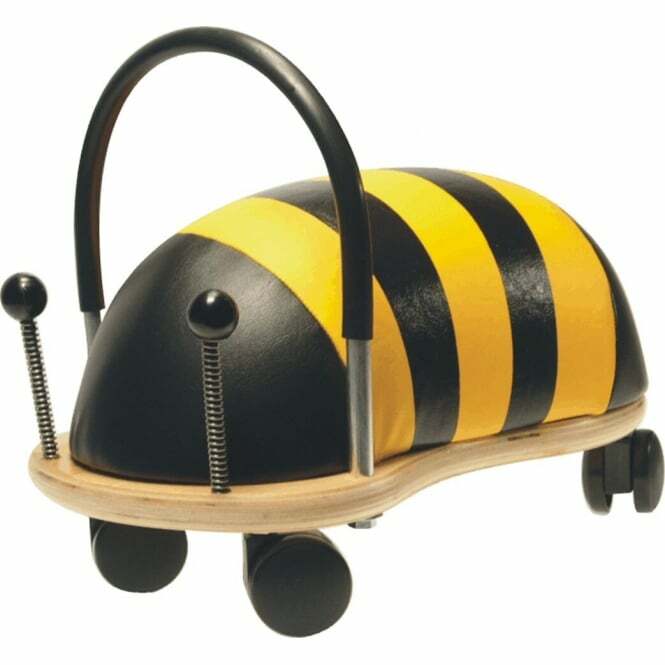 A robust wooden base give great longevity to the Wheelybug. A padded layer of sponge covered with tough polyurethane add to this. It also allows the Wheelybug Ride On Toy can be easily wiped clean. What are the specifications of Wheelybugs Ride On Toy? Showing our 2 Wheelybug Ride On Toy reviews with an average rating of Excellent. Would you like to write a review? Your Review - Beautifully made and I am sure my Granddaughter will have many happy hours playing with it.